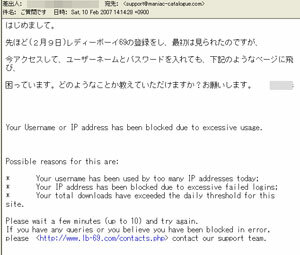 Your Username or IP address has been blocked due to excessive usage. Please wait a few minutes (up to 10) and try again. please <http://www.lb-69.com/contacts.php> contact our support team. > Your Username or IP address has been blocked due to excessive usage.